MIFARE® products have been widely adopted in the NFC ecosystem – particularly within the transport and access sectors – and is now one of the most commonly deployed contactless solutions. 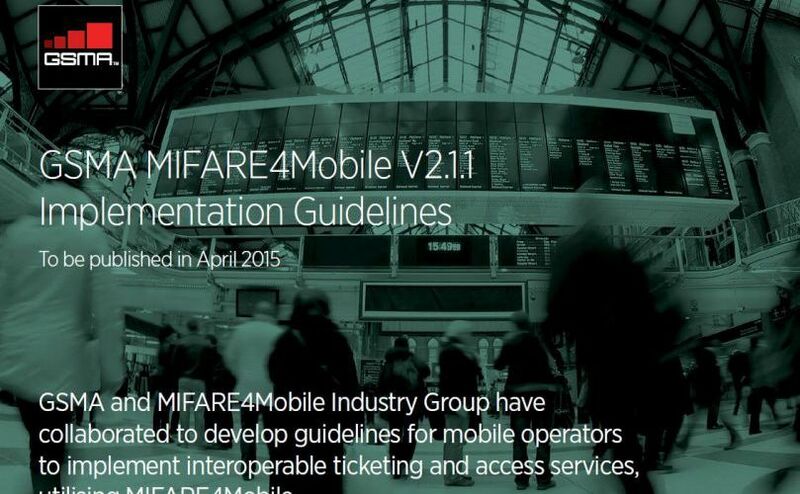 The GSMA and the MIFARE4Mobile Industry Group have co-authored the GSMA MIFARE4Mobile Implementation Guidelines with the assistance of industry experts to offer guidance on interoperability and standardization between MIFARE product-based transport implementations on NFC-enabled devices. Recommendations and preferred options from MIFARE4Mobile specifications. A migration path from existing MIFARE product-based mobile solutions to MIFARE4Mobile V2.1.1. These guidelines aim to assist mobile operators and service providers to deliver a consistent user experience and provide insight into technical considerations for implementations.